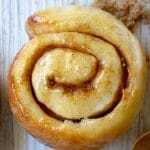 I have got to say that one of my favourite pastries is a cinnamon scroll. They are sooo delicious. I just cannot resist them. 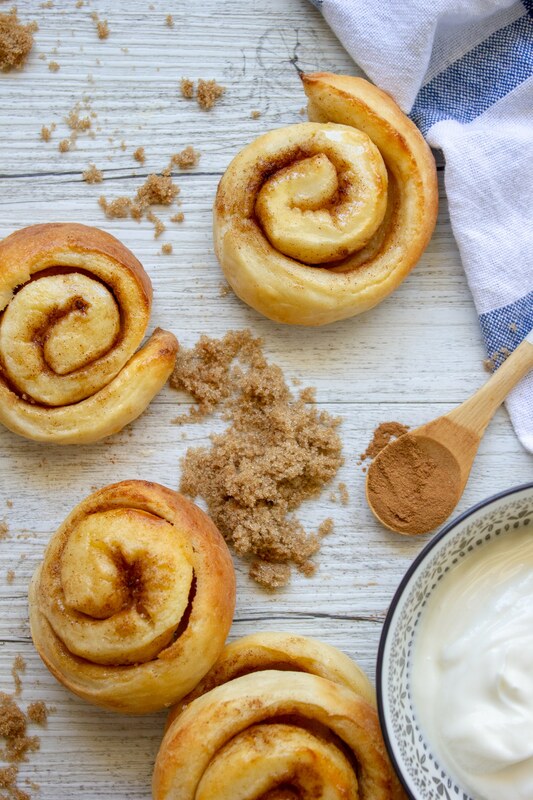 So, as you can imagine I love making (and eating) these Yogurt dough cinnamon scrolls. 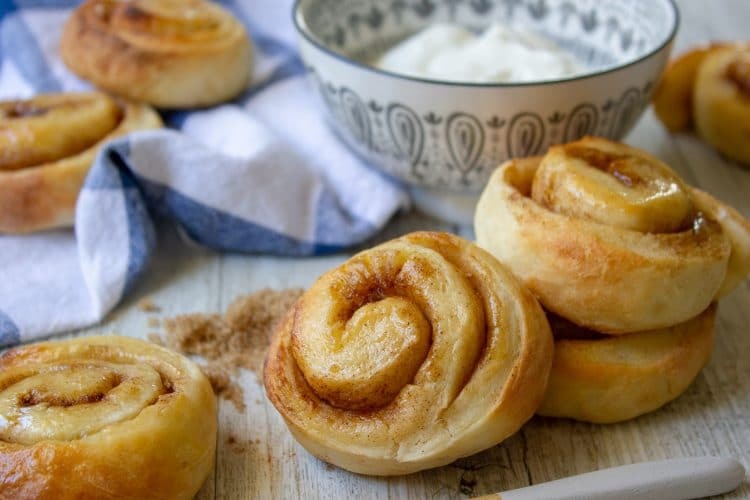 These Yogurt Dough Cinnamon Scrolls are really just a variation of my Yogurt Dough Pizza Scrolls which are just fantastic in the lunchbox. Yogurt dough scrolls are really versatile so it’s easy to make new flavour combinations but I do find the less fillings the better. I have referred to this dough in the past as being easy. But maybe I need to clarify this. It is a quicker, simpler recipe than using a yeast risen dough. However, there are still some tricks to making it. And I will share these with you! The ratio of yogurt to flour is not really one to one. After playing around with the recipe a bit I get the most consistent results by measuring a packed cup and a half of flour to a spooned cup of yogurt. This really deviates from how I normally would measure flour. 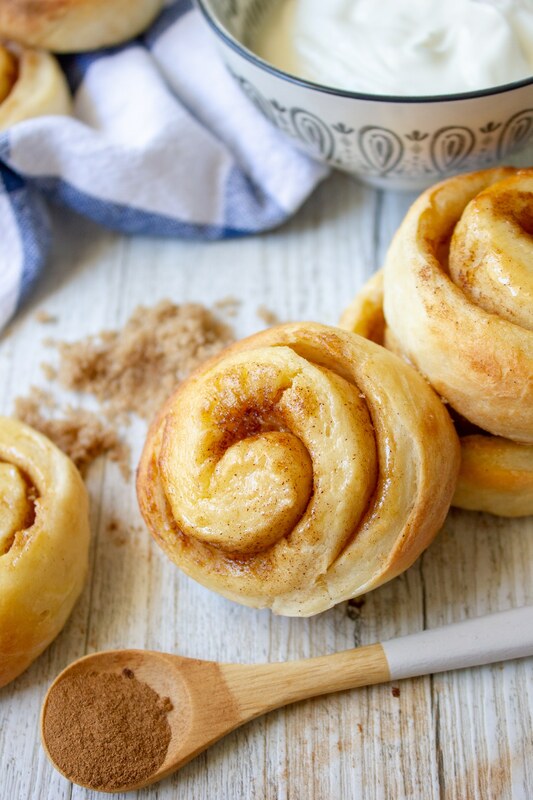 But does make a difference to make these Yogurt Dough Cinnamon Scrolls. The other tip I will give is to make sure you are using waxed baking paper or lightly grease your baking paper with baking spray to ensure that the dough doesn’t stick while rolling out the yogurt dough. I also make sure my rolling pin has been floured too. These yogurt dough scrolls can be frozen. After baking cool the scrolls, then put in a ziplock bag or in a container and store in the freezer for 2-3 months. If you love the sound of these Yogurt Dough Cinnamon Scrolls you will also love these easy and delicious Lemon Blueberry Scones or these delicious Berry Ricotta and Cinnamon Muffins – just perfect for morning tea. 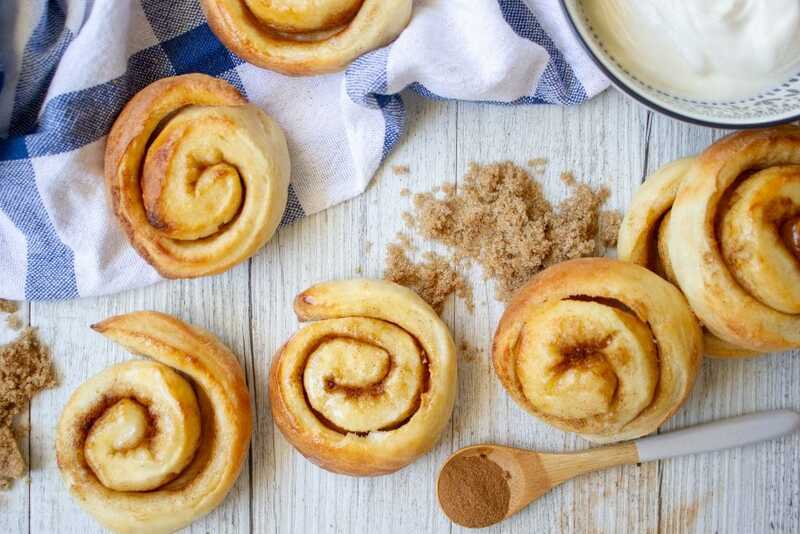 These delicious Yogurt Dough Cinnamon Scrolls are a low sugar protein packed lunchbox snack or morning tea that come together in no time at all. 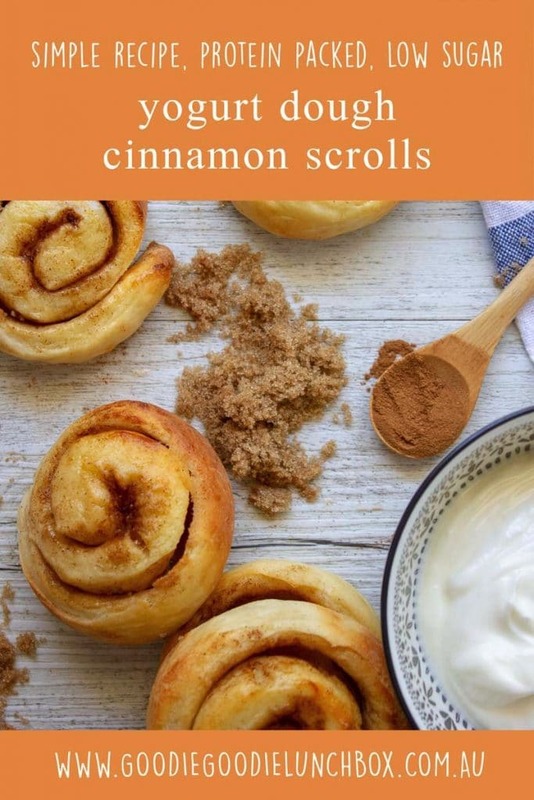 I hope you enjoy this recipe for Yogurt Dough Cinnamon Scrolls. Remember, if you bake these please take a pic and share with me on Instagram or Facebook, I love to hear from you!